Has Ranbir Kapoor and Katrina Kaif Found Their Love In Their Co-Stars? Home BOLLYWOOD Has Ranbir Kapoor and Katrina Kaif Found Their Love In Their Co-Stars? Ranbir Kapoor and Katrina Kaif were one of the most loved couples in the Bollywood. It was hard to digest for the fans when the ex-flames decided to part their ways. It has not been even a year when the ex-lovebirds called it quits. The couple got separated on the onset of 2016 and now it seems that Ranbir Kapoor and Katrina Kaif have moved on and found their love interest in their co-stars. The buzz is that, the Rockstar actor after his break up with Katrina Kaif has finally found his love in another Bollywood beauty and she is his Roy co-star Jacqueline Fernandez. If the reports are to be believed, the Tamasha actor is enamored by the Kick actress. Ranbir Kapoor and Jacqueline Fernandez were recently spotted with other stars including Alia Bhatt, John Abraham and Varun Dhawan at the opening ceremony of the Indian Super League 2016. According to the reports, Ranbir couldn’t take his eyes off Jacqueline throughout the event. Surprisingly, Jacqueline tried avoiding Kapoor Jr. may be due to her closeness with Salman Khan. 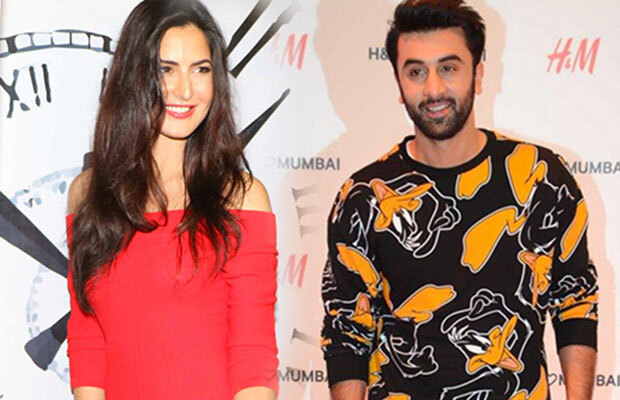 Even Ranbir’s ex-girlfriend Katrina Kaif is spotted with her Fitoor co-star Aditya Roy Kapoor on various occasions. Aditya and Kat first met on the sets of Fitoor, though the film tanked at the box office but the bond between the actors did not fade. The rumours are surrounding that both the actors have been secretly dating and the two were also spotted together in Mumbai for a dinner date. With the ongoing rumours Katrina is disappointed and she told that Adi is one of her close buddies. With this new development, one thing is clear that Ranbir Kapoor and Katrina Kaif have moved on. However, both the actors will be seen together in Anurag Basu’s Jagga Jasoos which is slated to release on April 7, 2017. Previous articleShobhaa De Ends Her War With This Bollywood Actress By Saying This!